In May 2019, a new era of the Japanese calendar is expected to be announced. The new era will be represented in dates by two names. One name will consist of a sequence of two existing kanji and the other of a new single Japanese character that combines those two. The current Heisei era has been in place since 1989. Because the current era began during the development of the modern computer systems, most software systems are not prepared for a new era. Consequently, most software used in Japan will need to adopt the new era name and add font support for the new character. The exact date of the new era name announcement is unknown and there will likely be a small timeframe for implementing the new era information, possibly less than a month, which will create major challenges to the IT industry. The code point U+32FF has been reserved for the new era character. Once the new era name is announced, the Unicode Consortium will quickly issue a dot-release (Version 12.1) that will add that character at the reserved code point, U+32FF, with an appropriate character name, decomposition, and representative glyph. Unicode CLDR and ICU are including test mechanisms in the 2018 October releases of CLDR 34 and ICU 63. Systems that use CLDR or ICU (all smartphones, for example) can test using these mechanisms. Systems and applications that do not use CLDR or ICU will need to take similar steps for testing. To read more, please see: New Japanese Era. Internationalization (I18n) sooner is better! Hiroko is a native Japanese speaker originally from Kobe, Japan. She has lived in Japan and the USA and currently splits her time between Tokyo, Japan and Bellingham, Washington. Hiroko holds a degree in Computer Information Systems from Western Governors University. She has over 15 years’ experience in language, project management & technology roles with localization companies including CyraCom Language Solutions, Powerling and ABLE Innovations. SEPARATOR With her computer science and technology background, Hiroko started building websites early in her career and has worked as a programming department manager and senior web programmer. She has built various web applications and websites including e-commerce, internal management systems and translation memory management tools for localization projects. 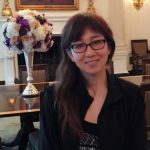 Hiroko has managed hundreds of localization projects for IT companies, state and federal governments, universities, hospitals and medical institutions, agencies, Law firms and many businesses. SEPARATOR Her hobbies include travel, reading and all things culinary. In recent years, she has been actively involved with her local government sister city programs to promote global friendship and peace.